Meet Abbey! 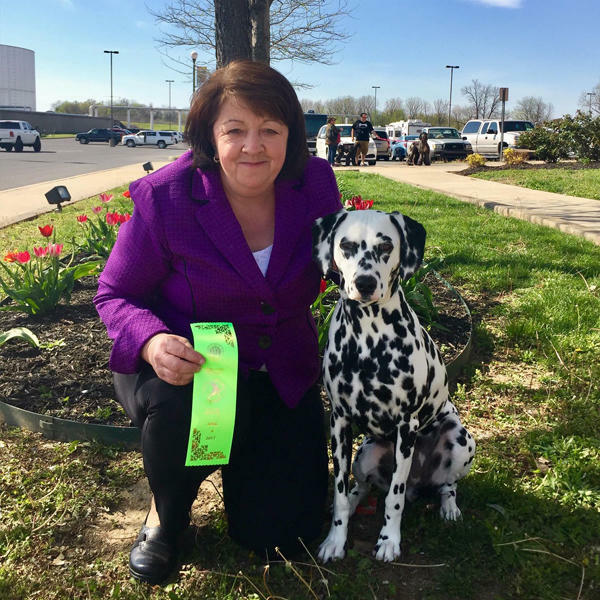 Abbey is a dashing Dalmatian and AKC Bronze Grand Champion from Louisville, Kentucky. She traveled to Paducah for the Paducah Kennel Club Quilt City Classic, an annual all-breed dog show at the Paducah-McCracken County Convention & Expo Center. So what made Abbey&apos;s experience in Paducah most memorable? 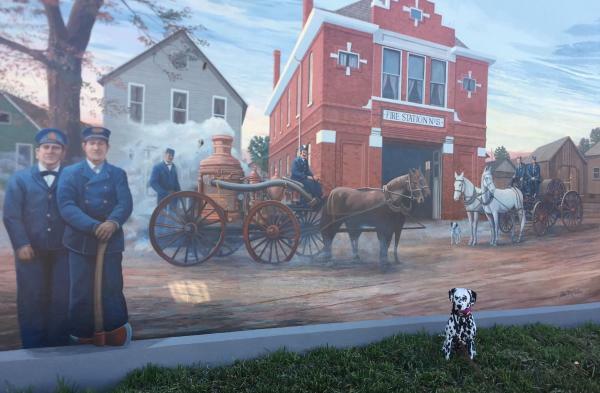 Below are a few of her picture-perfect Paducah moments along with insights on pet-approved things to do and lodging options in Paducah. Abbey sits alongside one of the painted "plugs" in the Lower Town Arts District. Historic Downtown, the Lower Town Arts District and Midtown Paducah are walkable neighborhoods prime for exploring art, history and the great outdoors with four-legged friends. Featuring public art and landmarks made for photo ops, you&apos;ll also find space for respite. Dog-friendly patios present themselves for dining on Market House Square, coffee at Etcetera Coffeehouse and brews at Paducah Beer Werks or Dry Ground Brewing Company. Abbey stands in the foreground of "Wall to Wall" Paducah Murals. The 5+ mile Greenway Trail links the Paducah Riverfront Park to Noble Park and Stuart Nelson Park, home of the Paducah Dog Park. Take a brisk walk, enjoy leisurely play time along the water or make a fetching new friend. Carson Park in Paducah&apos;s Midtown features training and stabling facilities for equine exercise and housing while in Paducah. 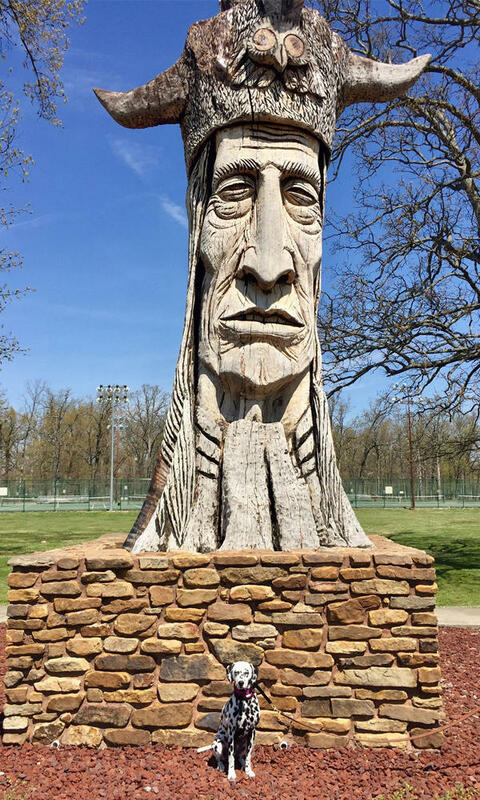 Abbey poses with Wacinton, a Peter Toth carving, at Noble Park. 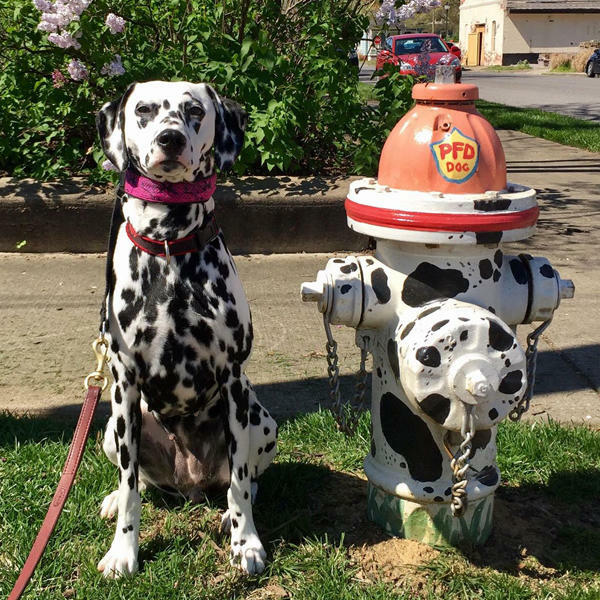 La Quinta Inn & Suites and Best Western are among the top pet-friendly hotel chains, and the Paducah properties are no exception. Find information about these and more hotels with pet-friendly amenities here including Red Roof Inn where Abbey stayed. Paducah&apos;s pet-friendly hotels and campgrounds are located in close proximity to event venues, outdoor activities and local points of interest. Don&apos;t forget to confirm specific policies before booking. Abbey with her ribbon following the Paducah Kennel Club&apos;s Quilt City Classic. Be a winner like Abbey! Plan YOUR Paducah experience using local directories throughout Paducah.travel and more Inspiration Guides on the blog As you explore, snap and share your favorite spots by tagging #PaducahCreativeCity on social media! All photos provided and published with permission from Bill Groher, Abbey&apos;s loving owner.